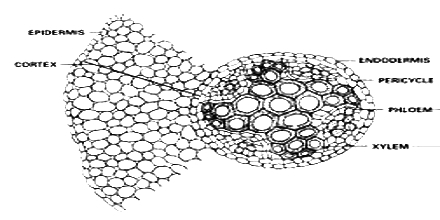 Terrestrial plants absorb water from ground through their root hair Submerged plants collect water through their body surfaces. For photosynthesis sunlight is an indispensable factor. 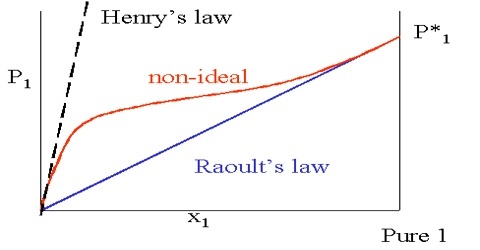 Sun is the main source of light. 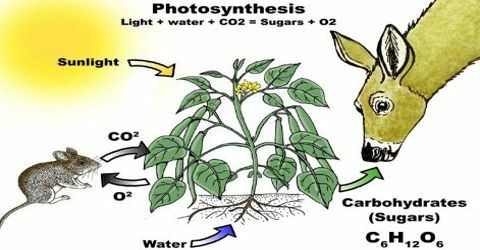 Photosynthesis process occurs in two phases. The two phases are: (1) Light or photo phase and (2) Dark phase. 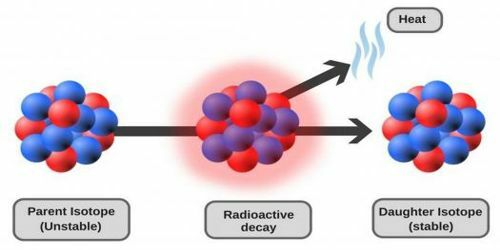 The following experiment helps you to understand the evolving of oxygen due to photosynthesis. Things required for the experiment: A glass-beaker, water, fresh Hydnlla plant, a funnel, a test tube, a glowing match stick. Now, fill two thirds of the beaker with water. 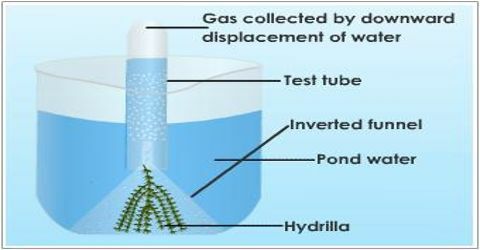 Place fresh Hydrilla plants in the beaker and cover them with a funnel in a way that the stems of the Hydrilla plants stay near the upper end of the funnel tube. After that add more water to the beaker so that the funnel tube completely goes under water. Now, fill in the test tube with water, close its opening with your thumb and invert the test tube over the funnel. Remove your thumb carefully so that water cannot come out of the test tube. Now, leave the set up undisturbed in bright sunlight. After some time you will observe gas coming out in the form of bubbles from the Hydnlla plant. 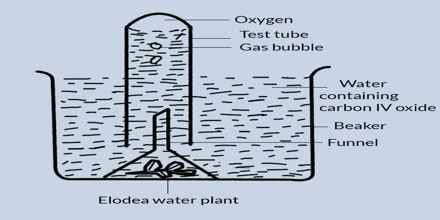 As gas bubbles are seen to rise and collect in the upper, closed part of the test-tube, the water level within the test tube goes downward. When enough gas is collected, carefully remove the test tube covering the open end with your thumb. Now, as you place a glowing match stick in the test tube, it will bursts into flames. 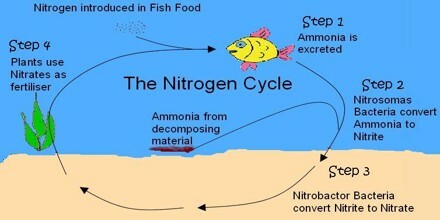 What is the Sources of Nitrogen?